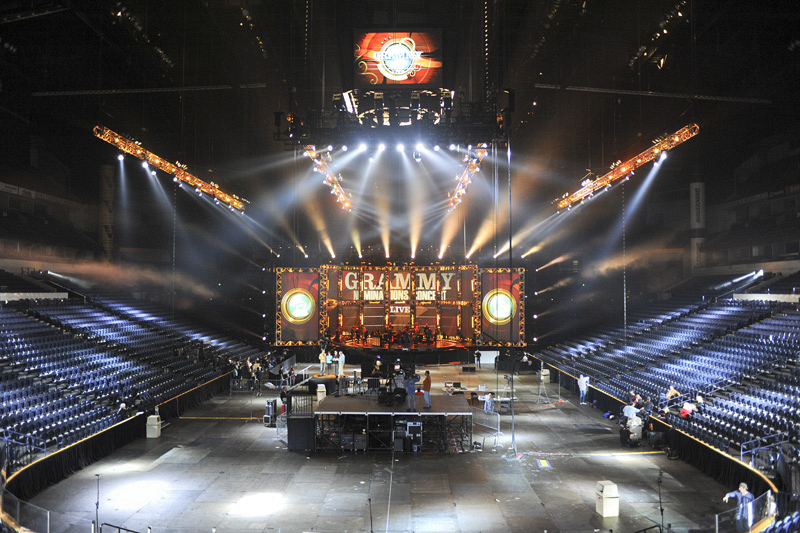 The stage is set at The Bridgestone Arena for the GRAMMY® Nominations Concert Live! Countdown to Music's Biggest Night®. Photo: Timothy Kuratek/CBS ©2012 CBS Broadcasting, Inc. All Rights Reserved.